It's Christmas! Not everyone spends it with their loved ones, though. Some do it purposefully, and some against their own will. 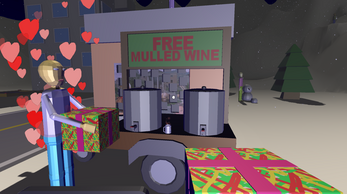 But hey, they still deserve some happiness and caring in their lives, and in this Christmas Adventure Gifting Game you can deliver just that! Your job is to spread the mythical 'Christmas Spirit' to everyone in the little town of Nowhere. 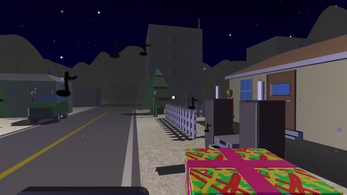 The main goal of the game is thus to reach everyone in the town and give them a gift. Easy! T to open or close your tablet computer. Remember to use it, it may help you on your mission! I was thinking of a similar game concept for Christmas but never really managed to put it together.. and I gotta say that you've executed it perfectly.. I absolutely loved it! 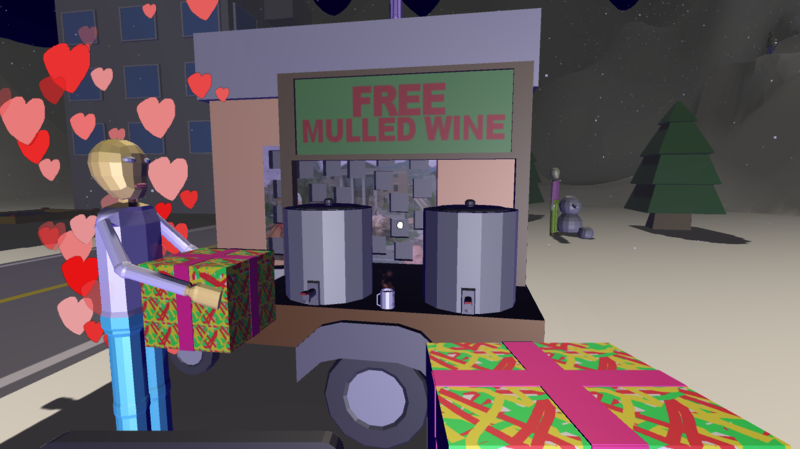 A good game in the Christmas spirit where you have to offer gifts to a small town that is in bad shape. I recommend it to pass the time and thus be in the shoes of "Santa Claus". Everyone deserves a happy christmas. great job on the game i had great fun and maybe even broke it a little lol! This game was so sweet and heart warming! Definitely a great game to play around Christmas, even though I missed out on finishing the mission. that was so fun! I managed to find quite a lot of them, but after a while I was completely lost. Love the message and just the whole game in general. 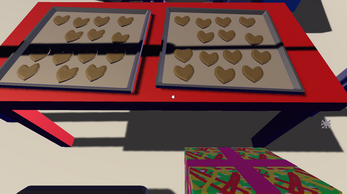 The game is very cute and simple. I loved it and hope for another one just like it. This game has a simple but effective message to send. It all goes well together, the gameplay, the music, the scene, it all fits. 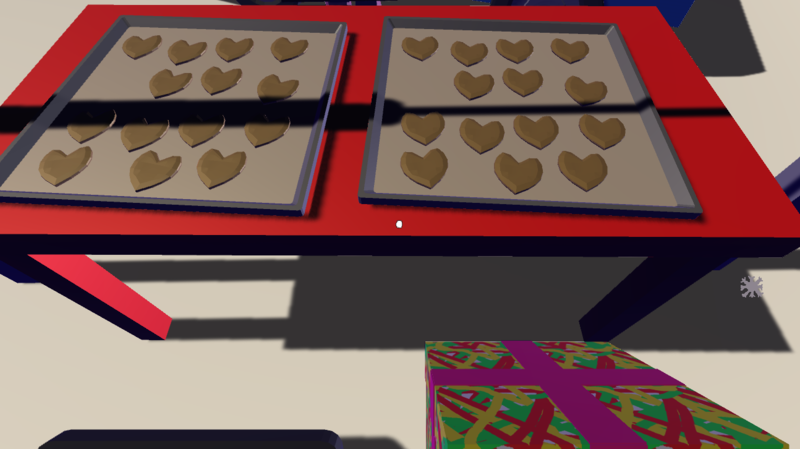 Not much is wrong with this game however, trying to find everyone to give presents to can be a pain. I did play the game from start to finish though. Also, I encountered a glitch with the presents. You could jump on your presents and it would make you jump forever in one spot making the player restart the game. I did a video on this game, yours is third in the video. I enjoyed this game, a good collectible finder, and always good to spread joy and cheer. I did this as part of a group of games, this is game #3. Didn't quite finish it I don't think, but I went as far as I could find lol, really nice work. 😀 ued, having trbl beating this game becaus the final boss scopped me up and slapped my nutts, tht i wld post here anyway,.,., yknow,,.,. good videos.,., good;,. Good game. I'd love to play similar games with other holiday themes, like Thanksgiving or Halloween!